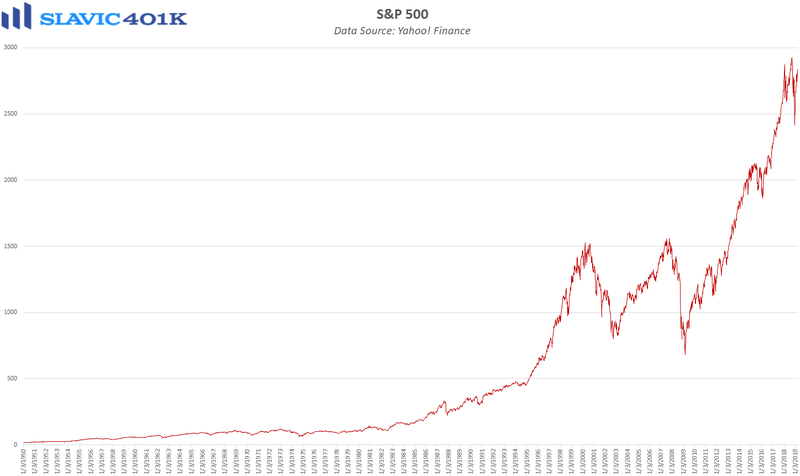 Stocks bounced last week, as the S&P 500 rose by 1.20 percent to 2,834.40. 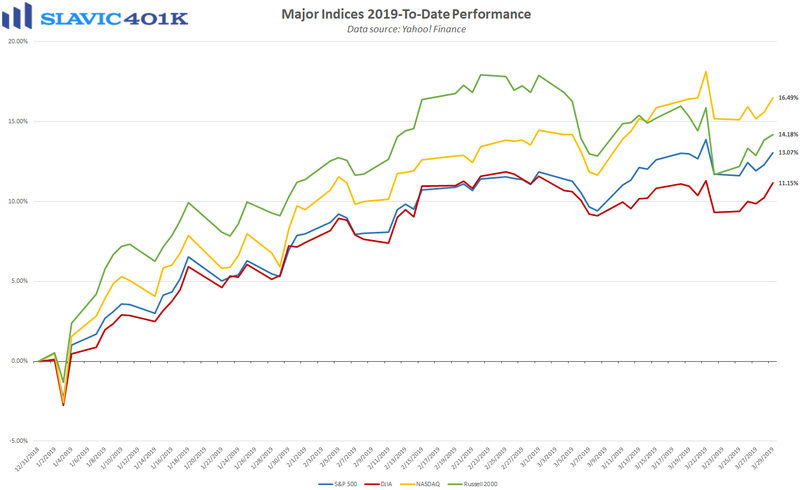 That left the benchmark index up 13.07 percent 2019-to-date, and just 3.29 percent below the all-time closing high hit last September. 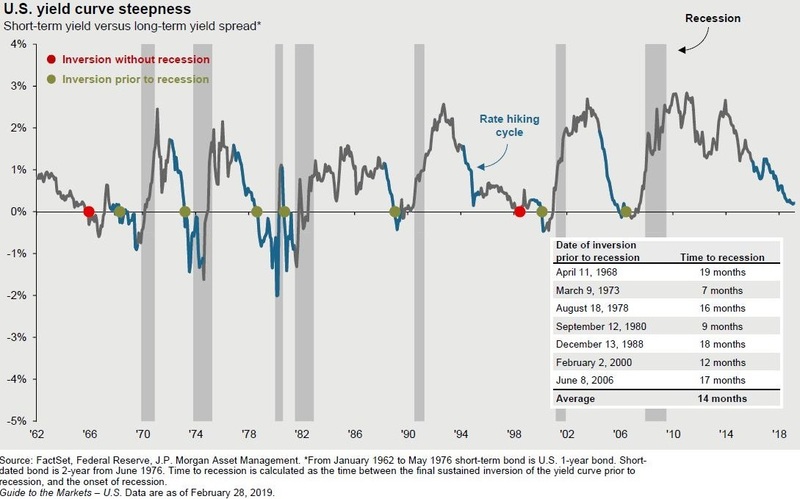 One of the reasons why the post-Christmas rebound in equities appears to have lost a bit of momentum is the “inversion of the yield curve,” i.e. 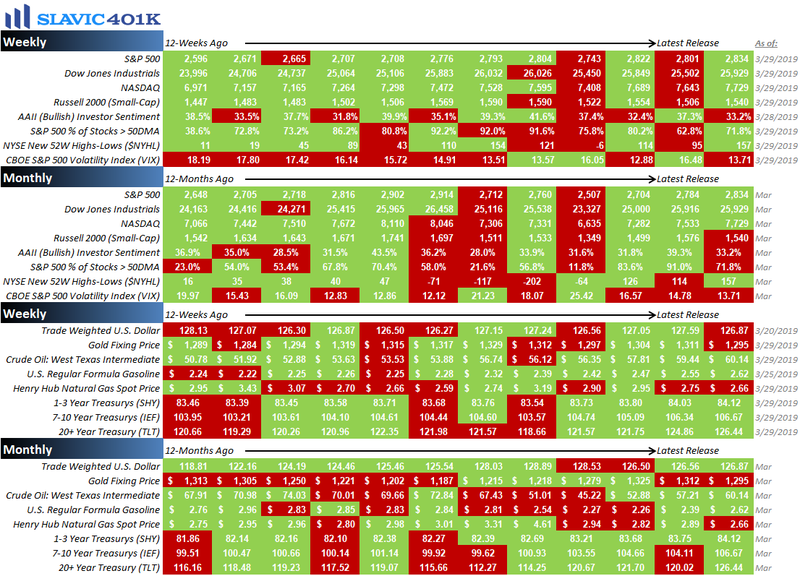 when interest rates on short-term Treasury securities are higher than longer-maturity yields. 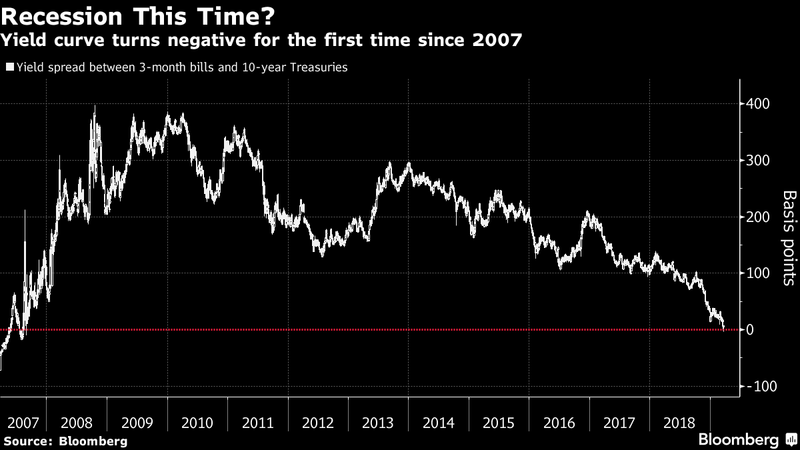 The particular spread that the media has focused on recently is the difference between the 3-month Treasury bill and the 10-year Treasury note, which turned negative last month for the first time since 2007. 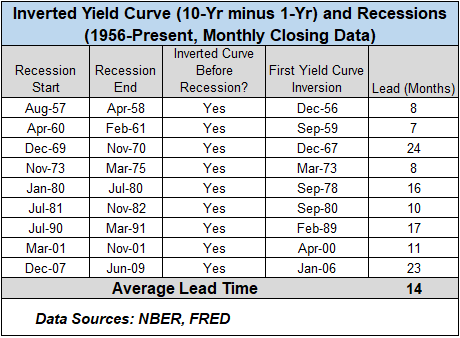 Many market participants are concerned because some sort of yield curve inversion has preceded essentially every modern recession in America, but the precision of this indicator is not very impressive after a closer look. 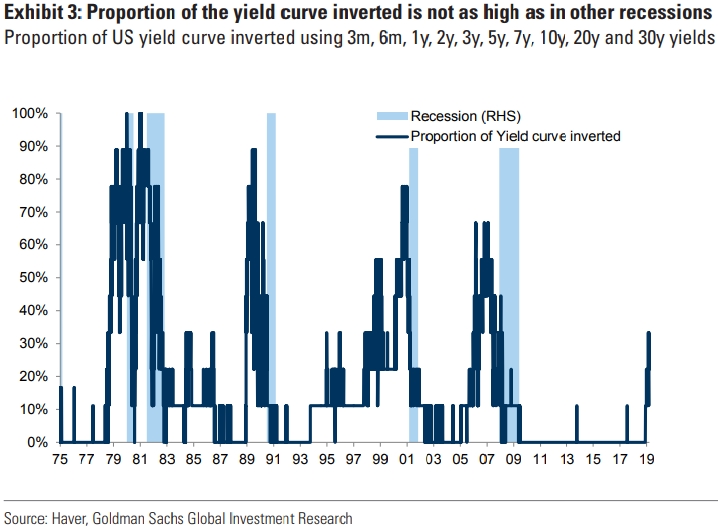 For example, there have been false positives when parts of the yield curve inverted but no economic downturn occurred. 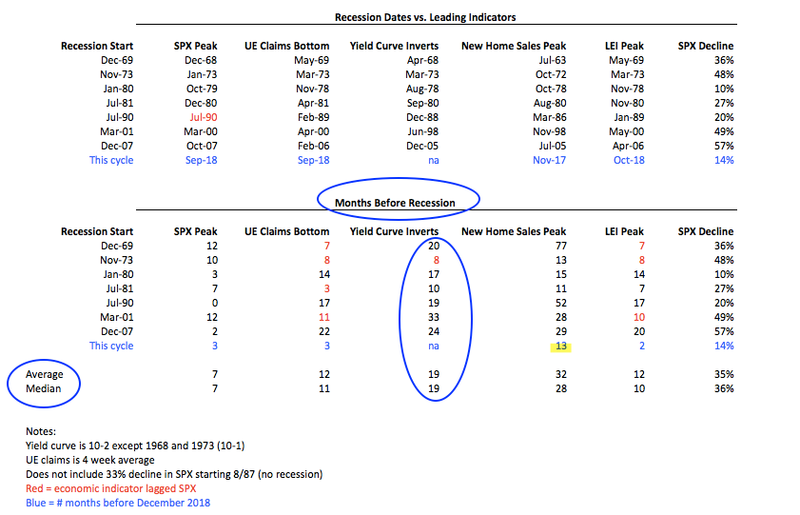 Further, the average lead time between an initial inversion and the official beginning of a recession has historically been around a full year, meaning that even if an economic downturn does eventually occur, it still seems likely that the current expansion in America will soon become the longest on record. 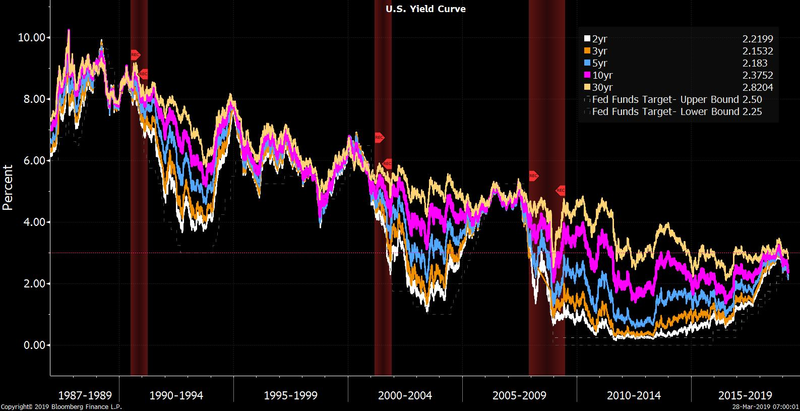 Another thing to consider is that by several measures the current inversion is nowhere near as extreme as we have seen ahead of prior recessions, and the curve will likely need to remain inverted for quite some time before officials at the Federal Reserve even take notice. 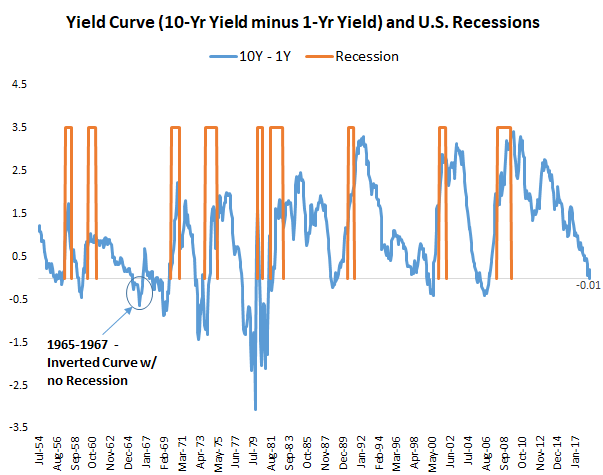 Moreover, economists prefer to look at the real (inflation-adjusted) yield curve and view inversions not as a recessionary guarantee but instead a sign that growth could decelerate and in turn leave the economy more exposed to a negative shock. This should provide more motivation for lawmakers in Washington to avoid unneeded headwinds such as government shutdowns and prolonged trade wars. 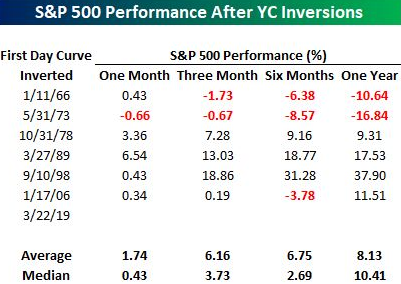 Perhaps most encouragingly for retail investors in the medium-term is that after the last four yield curve inversions similar to the current one, the S&P 500 index gained an average of 19.06 percent over the twelve months following the initial inversion. 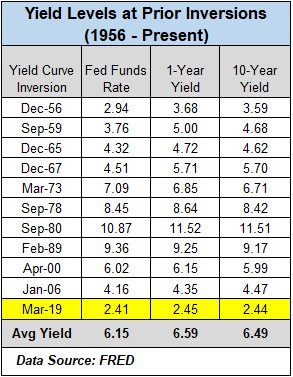 Of course past performance does not necessarily predict future results, but such statistics should at least provide more evidence of why a preliminary inversion in the yield curve by itself is little reason for any immediate panic. 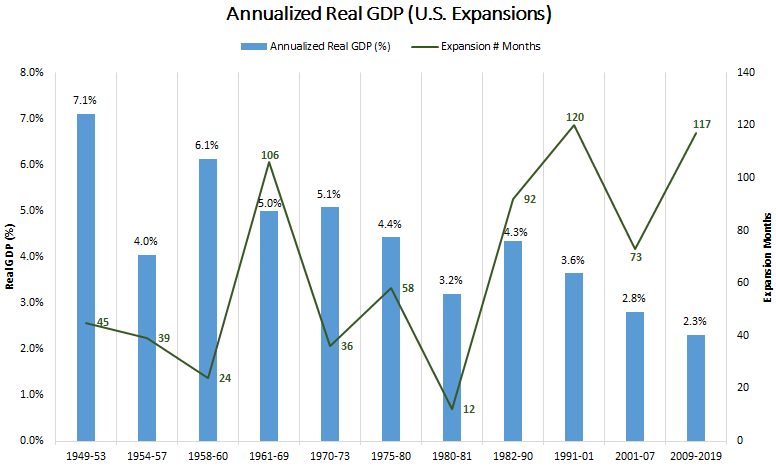 To recap a few of the things we learned about the economy last week, the positives included that the nation’s trade deficit narrowed, home prices continued to appreciate at a more moderate pace, the 30-year mortgage rate fell to a 14-month low, home purchase applications jumped, new home sales surged, income growth firmed, household inflation pressures cooled, and the number of Americans making first-time claims for unemployment benefits slid to a near-cycle low. 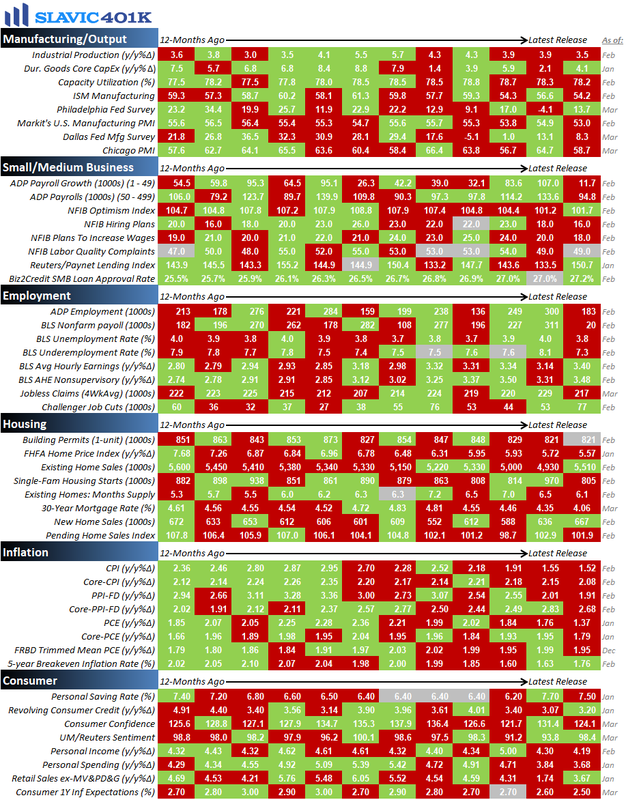 As for the negatives, housing starts declined, building authorizations fell, pending home sales retreated, consumer confidence softened, personal consumption disappointed forecasts, gauges of regional manufacturing activity continued to send mixed signals, and U.S. gross domestic product growth during the fourth quarter of 2018 was revised lower. This week the pace of economic data picks up with several important reports on factory production, services sector activity, consumers, and employment scheduled to be released, including the potentially market-moving March job report from the Bureau of Labor Statistics due out on Friday.